Hand me that last piece of birthday cake, will you? 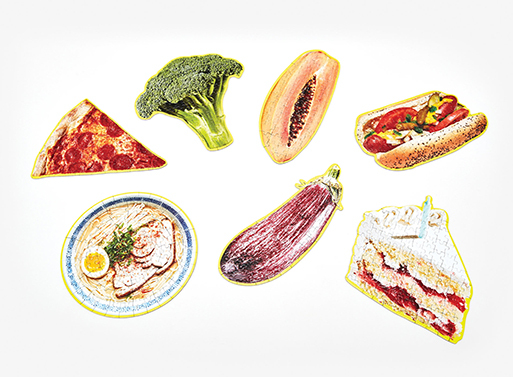 Little Puzzle Thing™ jigsaws look just like your favorite food and can be completed in twenty minutes (or less, if you’re clever). Go ahead, give your brain a break and put together a broccoli or ramen bowl; perhaps time your task just before lunch? Available from Areaware, $15.00 .